Peonies are beginning to bud and come early May, we’ll be admiring magnificent show-stopping flowers like these beauties pictured at the nursery last spring! Plant your Peony in full sun and give it a dose of E.B. Stone Organics Sure Start 4-6-2 for healthy roots and shoots. We also recommend amending your native soil with Black Forest, find it in the Garden Shop. 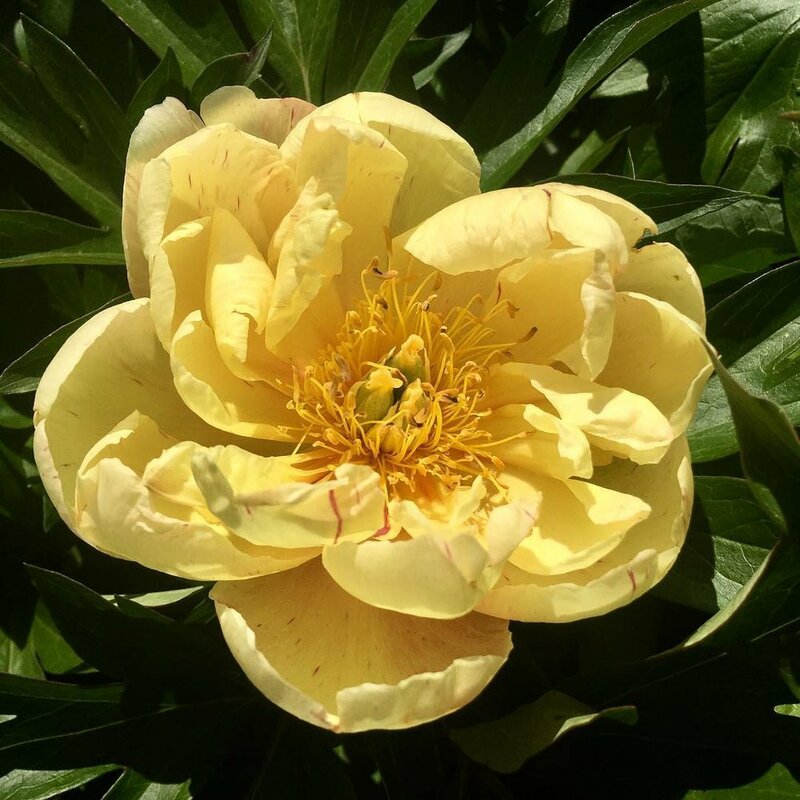 We especially love our Itoh Peonies, an intersectional hybrid of a tree and bush that will bloom in our milder climate! (As opposed to bush forms that require colder temperatures in order to set flowers.) Once established, Itohs boast an extended blooming period adorned with as many as 50 blooms in a season. 50 blooms in one season! A perfect choice for those that love Peoniesas cut flowers in homegrown bouquets. (Who doesn't?!) And Peonypetals are edible! Add them to a summer salad for a pop of color or use as a garnish in your summer lemonade!